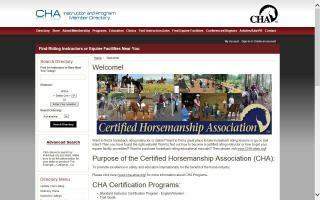 Riding Instructor Certification Directory - O Horse! 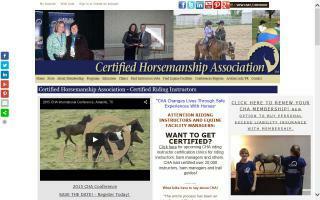 Certified Horsemanship Association certifies riding instructors, accredits equine facilities, maintains an online database of instructors searchable by state, publishes educational manuals and DVDs, and produces conferences for all horse enthusiasts. 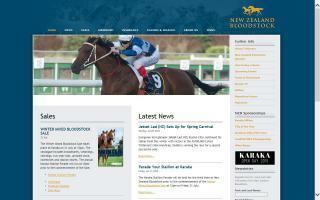 NZIETO services and facilitates equine training incorporating the breeding, thoroughbred and harness racing, farriery, equestrian sport and recreation. 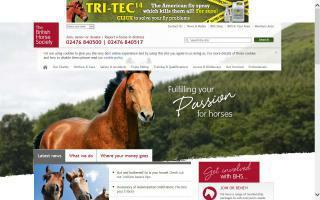 It is responsible for the Equine Industry Training Scheme which provides national qualifications. Study about horses any time and anywhere there is an internet connection. StudyHorses.com has a pathway of courses from 'Basic Horse Care' for the complete beginner (maybe your partner or a family member?) to learning to become a more confident rider by learning our methods with helpful tips and tricks as well as extra assistance from our accredited horse riding instructors in our regular tutorials. You can become a trail ride leader or horse riding instructor and obtain an internationally recognized qualification with StudyHorses.com. If you plan to have your own horse business or manage an equine enterprise, we have a business course leading up to university entrance. Check it out now; you can be enrolled within the next couple of minutes! ARIA was established in 1984 to help promote safe, knowledgeable riding instruction. ARIA's official quarterly magazine, Riding Instructor, keeps its member instructors well informed of matters pertaining to their profession. Meredith Manor is a nationally accredited equestrian career college dedicated exclusively to producing professional riders, trainers, instructors, and farriers for the horse industry. All programs and courses are designed specifically to prepare you for a successful, long lasting equine career. Our students spend 6-8 hours a day in primarily hands-on, skill based classes with additional time spent in the barns and with the horses. Students don't have to excel in academic, classroom based classes to be successful in our programs, but they must have a passion for horses and a dedication to having a successful equine career.br/br/Meredith Manor has six Riding Master programs designed to prepare students for careers as professional riders, trainers and instructors. Each week consists of riding classes, career area electives, showing, riding theory, and horse and barn care classes. Riding majors include Dressage, Jumping, and Western. Career area electives include Training, Teaching, Equine Massage Therapy, Breeding, Horse Health, Barn Management, Business Management, Farrier, and Forging.br/br/In our farrier programs, you will receive both the theoretical knowledge and the practical hands-on experience that will be the foundation for your career as a professional farrier. We offer a 12 week Shoeing Short Course which is well suited for students with some previous farrier knowledge and skills. We also offer a 36 week Equine Science Master with Farrier Emphasis, which is more in depth with additional focus on anatomy, conformation, unsoundness, diseases, and forge work.br/br/All levels of riders from true beginners to experienced professionals are accepted into our programs. Incoming students go through riding evaluations and are placed in classes appropriate for their skill level. Students may bring their horse with them to school, but are not required to do so. Students have access to the 125-150 horses on campus.